(that nice green padlock) on your website. Whether you’re a small blog, or an online store taking credit card payments or ACH banking information, SSL (Secure Socket Layer) certificates are critical, and even better, are being issued for FREE. That’s right — free. A few short years ago, you’d have to pay upwards of several hundred dollars per year JUST for an SSL certificate (and you still can), but with a service like Let’s Encrypt, you can get that security without the annual cost. Your site is secure, your visitors feel warm and fuzzy, and you don’t have to pay anything extra? Sounds like a win/win to me! How can you test your site? 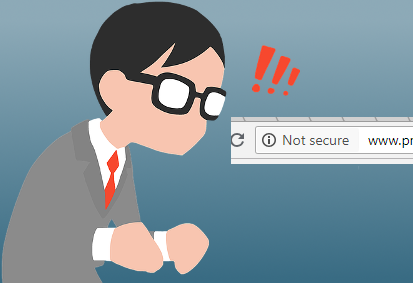 There’s a quick, easy, and free way to test your site for security – head over to https://www.ssllabs.com/ssltest/ and enter your domain name (I recommend you check the “do not show the results on the boards” checkbox). At TBare.com, we take the security of your website very seriously. From SSL Certificates on the server, to the plugins that add that cool “share this page” link on the bottom of every webpage – security is paramount to making sure your site stays secure, the information you collect (even contact form submissions) stay secure, and everyone can sleep better at night. Having been building websites and web servers for almost 20 years, we’ve gained the experience needed to ensure your web environment is as secure as it can be, and we take the necessary steps to keep it as secure as it should be.